The narrow-carriage LA48N and wide-carriage LA48W are designed for a broad spectrum of applications and are specially optimized for the DEC environment. There's support for DEC ANSI, IBM ProPrinter X24e, and Epson ESC/P2 emulation. 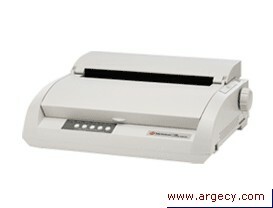 Auto tear; manual continuous/cut sheet switch; manual paper thickness adjustment. For OCR applications it is recommended that your readers are tested with print samples supplied by TallyGenicom prior to purchase. Paper is a highly variable medium and should be tested prior to purchase. The quoted consumable life is the average for the printer when used under normal operating conditions.